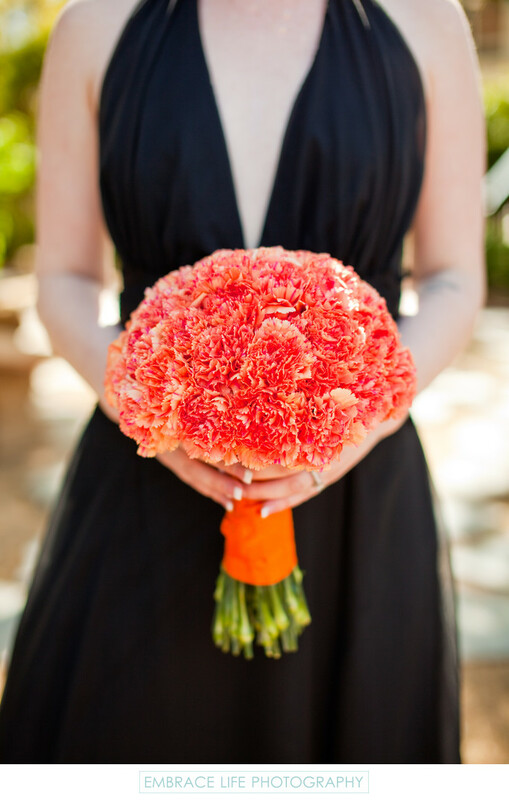 A bridesmaid at a Westlake Village Inn wedding is photographed in a black dress with a plunging neckline holding a bouquet of orange flowers with an orange satin ribbon wrapped around the stems. Behind the bridesmaid is one of the wedding venue's beautiful gardens. Location: 31943 Agoura Road, Westlake Village, CA 91361. Keywords: Details (1125), Flowers (471), Wedding (1437).